Luke Johnson (Chairman Risk Capital Partners LLP) joins a panel debate on... The Return of Opportunity. 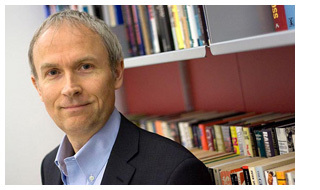 Luke Johnson is the chairman of Risk Capital Partners and the former chairman of Channel 4 television. Luke writes a weekly column for the Financial Times, a monthly column for Management Today and wrote for the Sunday Telegraph for eight years.